Princeton University COS 433 Cryptography Fall 2005 Boaz Barak COS 433: Cryptography Princeton University Fall 2005 Boaz Barak Lecture 1-7: Short Recap. 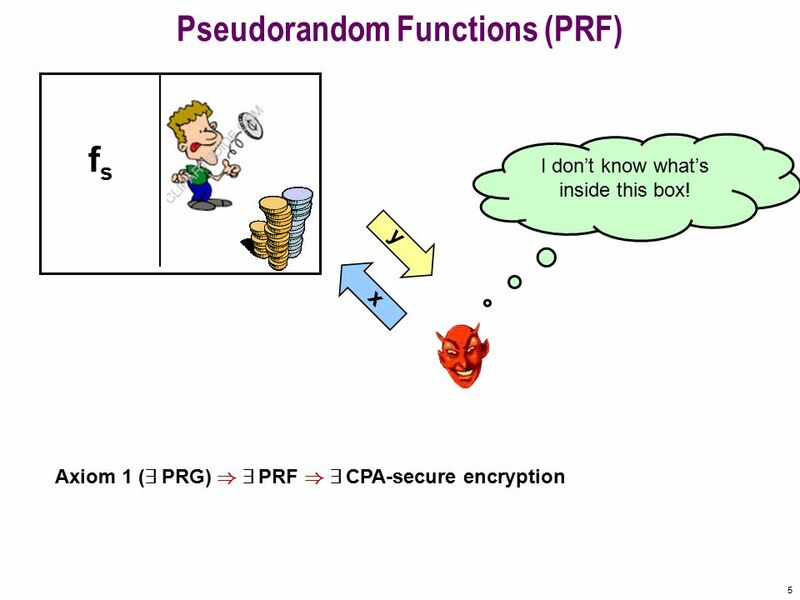 6 6 Security of PRF-based Constructions E fsfs Encryption scheme using PRF. Can adversary succeed? Ideal scheme using random function E 1) Prove that ideal scheme is secure. 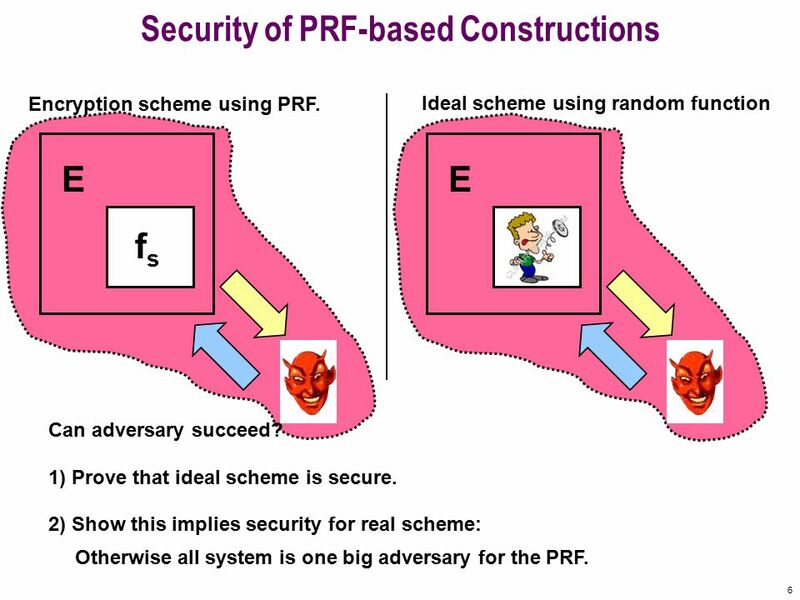 2) Show this implies security for real scheme: Otherwise all system is one big adversary for the PRF. 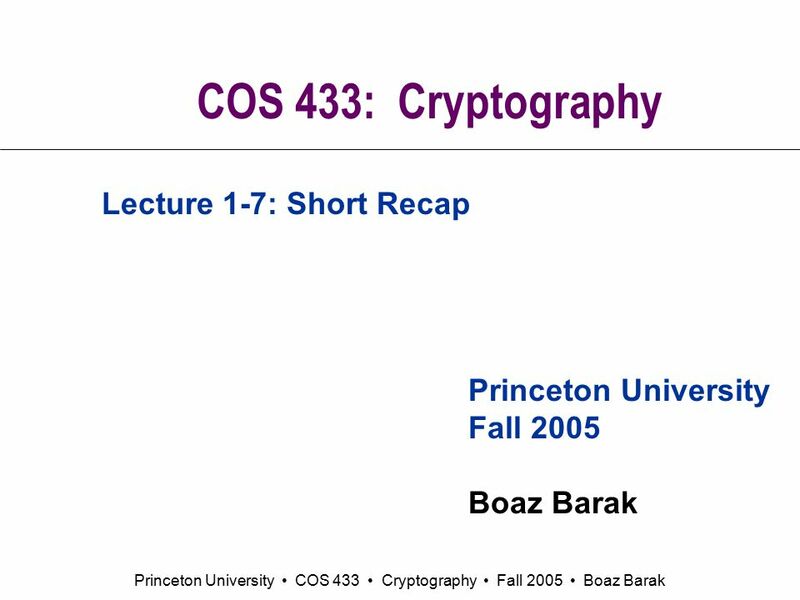 Download ppt "Princeton University COS 433 Cryptography Fall 2005 Boaz Barak COS 433: Cryptography Princeton University Fall 2005 Boaz Barak Lecture 1-7: Short Recap." Ran Canetti, Yael Tauman Kalai, Mayank Varia, Daniel Wichs. Derandomization & Cryptography Boaz Barak, Weizmann Shien Jin Ong, MIT Salil Vadhan, Harvard. Course summary COS 433: Crptography -Spring 2010 Boaz Barak. Foundations of Cryptography Lecture 11 Lecturer: Moni Naor. 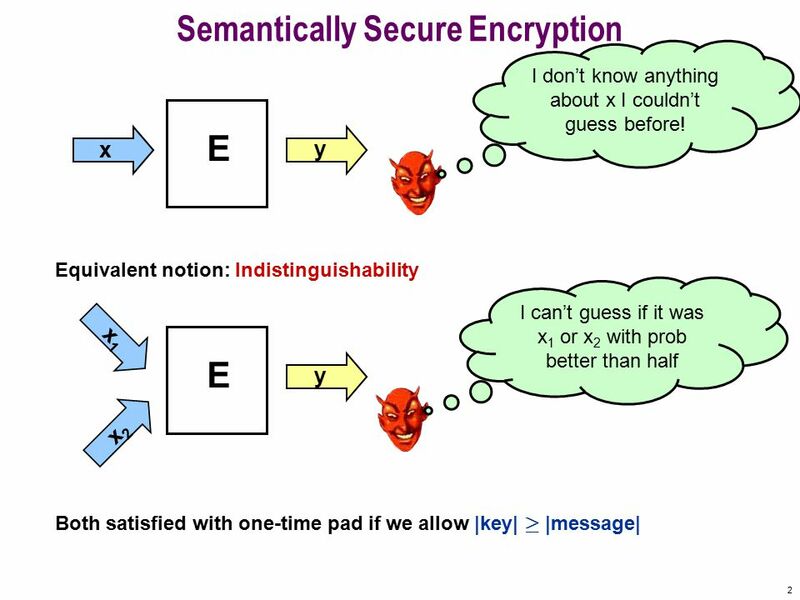 1 Adam O’Neill Leonid Reyzin Boston University A Unified Approach to Deterministic Encryption and a Connection to Computational Entropy Benjamin Fuller. CMSC 414 Computer (and Network) Security Lecture 4 Jonathan Katz. 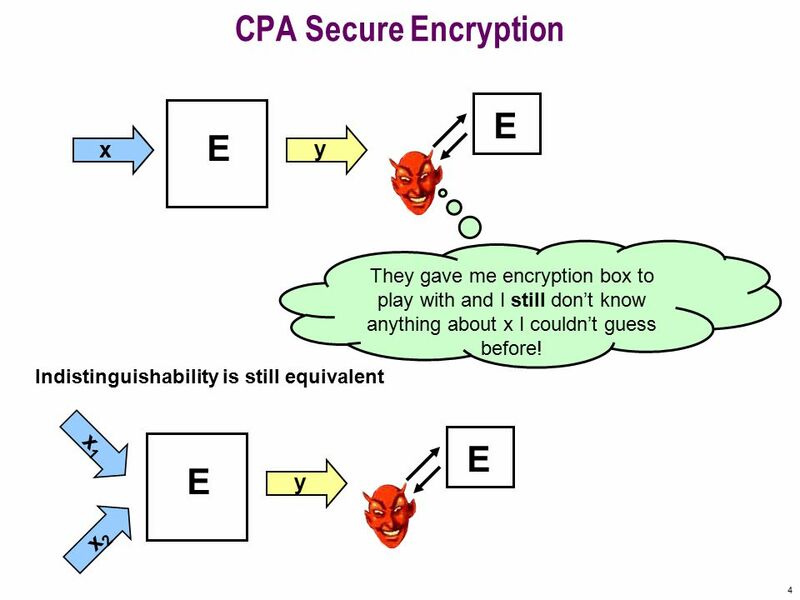 CS555Topic 191 Cryptography CS 555 Topic 19: Formalization of Public Key Encrpytion. Princeton University COS 433 Cryptography Fall 2007 Boaz Barak COS 433: Cryptography Princeton University Spring 2010 Boaz Barak Lecture 7: Chosen Plaintext. CIS 5371 Cryptography 3b. 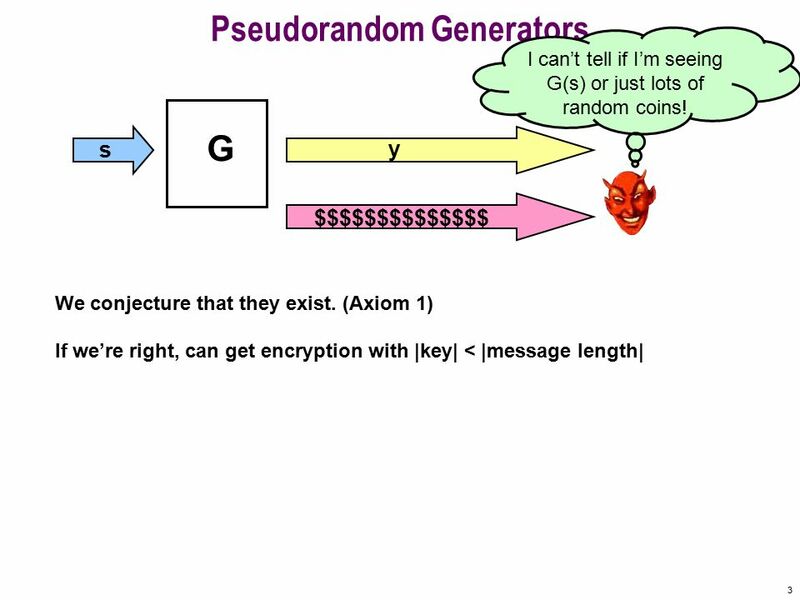 Pseudorandomness. Cryptography: The Landscape, Fundamental Primitives, and Security David Brumley Carnegie Mellon University. Princeton University COS 433 Cryptography Fall 2007 Boaz Barak COS 433: Cryptography Princeton University Fall 2007 Boaz Barak Lectures 1-6: Short Recap. Foundations of Cryptography Lecture 12 Lecturer: Moni Naor. CS426Fall 2010/Lecture 351 Computer Security CS 426 Lecture 35 Commitment & Zero Knowledge Proofs. Princeton University COS 433 Cryptography Fall 2005 Boaz Barak COS 433: Cryptography Princeton University Fall 2005 Boaz Barak Lecture 7: Block Ciphers. Public-Key Cryptosystems Based on Composite Degree Residuosity Classes Presenter: 陳國璋 EUROCRYPT'99, LNCS 1592, pp , By Pascal Paillier Efficient.